We previously wrote about Rosablue and their fabric floral patchwork door stop, as one of our favourite door stops for this summer. 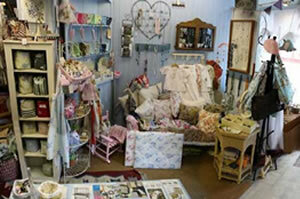 Rosablue are based in Cheltenham and they offer a whole range of products to choose from: handmade home accessories, sewing gifts, personalised gifts, personalised fabrics, photo gift ideas and even some heavy cotton slings to give your garden furniture a refreshing new look. Being designed and handmade to order in any of their patterns, these products are perfect to add a unique and stylish touch to your interior. 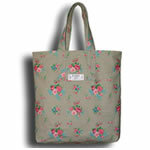 1/ The shopper bag in heavy cotton canvas in blue or pink floral printed fabric. 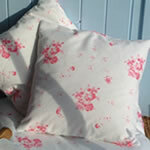 2/The cotton cushion in Rosablue floral pattern, delivered with a feather fill and with a cover fully machine washable. The cushion is available in two sizes. 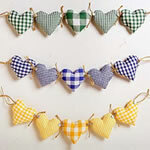 4/The fabric heart garland in a variety of matching Ginghams comes in a range of colours – ideal for babies’ cots and children’s beds. They can also be personalised with a special dedication written on the hearts. 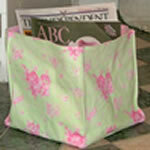 5/ The large cotton box – it is difficult to find storage boxes that are not boring! 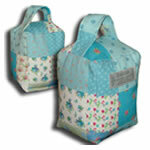 This lovely box is made of heavy cotton canvas in a different printed Rosablue fabric. This product can also be personalised!